Mr. Garcia's selection was based on a 500-word essay explaining his commitment to the natural stone industry and why he desires to continue his career in the industry. 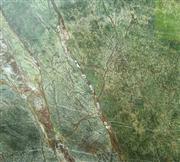 The education scholarship covered travel expenses to StonExpo 2007, in Las Vegas, Nevada, the natural stone industry's premier exhibition and educational event. "There is so much more I can learn," Garcia wrote in his essay. "I can and want to continue to grow in the natural stone industry, promoting our products and motivating consumers through the sheer beauty of natural stone. I want to participate more and see where this career can take me." In a letter of recommendation, Garcia's manager stated that "Mr. Garcia was one of the first people hired by Castle Rock Marble and Granite," said Tom Okon, president of the company. "He is reliable and my go-to man. He is one of my best workers and usually the right man for the job. I give him my recommendation and I promise you will not be disappointed." 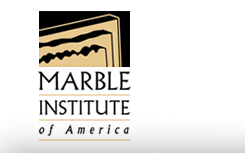 "The Marble Institute of America is excited to recognize Mr. Garcia's commitment to the natural stone industry," stated Gary Distelhorst, executive vice president of MIA. "The intent of the MIA Natural Stone Scholarship Award is to provide educational opportunities for aspiring natural stone professionals, and the opportunity to expand one's knowledge." Mr. Garcia was recognized at the MIA Awards luncheon in Las Vegas on October 19, 2007.